Have you been amazed by the subtle fragrance and taste of our flower salads? We also use flower petals fresh, or crystallise them with sugar for decoration, or dry them as garnish. 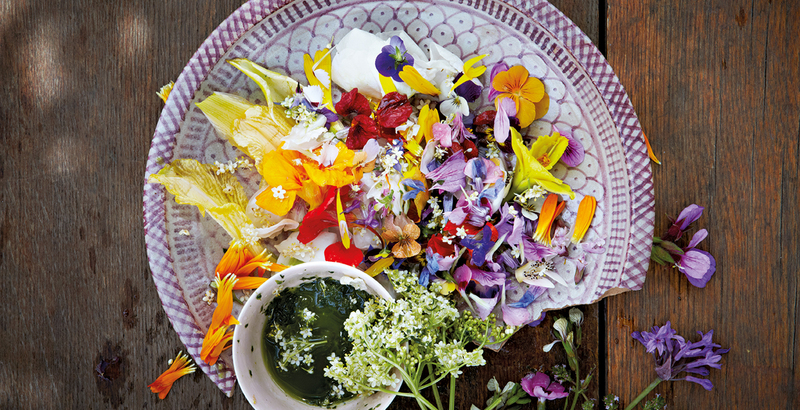 But that’s not all: how about flower butter for freezing; steeping flowers in oil or vinegar for dressings?